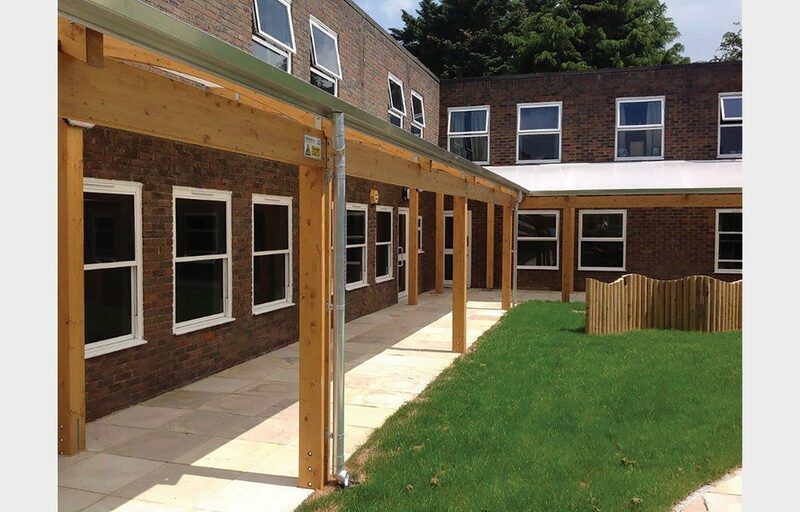 Timber walkway fabricated for Chiltern Gate School. 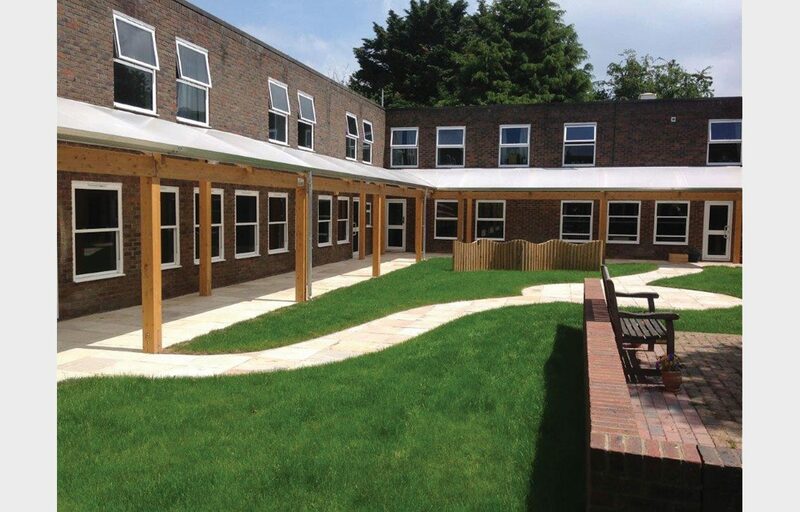 An L shaped structural walkway was recently fabricated for the early years school Chiltern Gate. The glulaminated timber frame is completed by an Opal 60 fabric roof that offers pupils and staff protection from the rain and UV rays when transferring between classrooms. In addition, the structure will also provide shade for the adjacent classrooms. Our timber is FSC and PEFC certified. This guarantees the sustainability of the product by ensuring that planting rates are controlled to ensure growth exceeds harvested quantities. 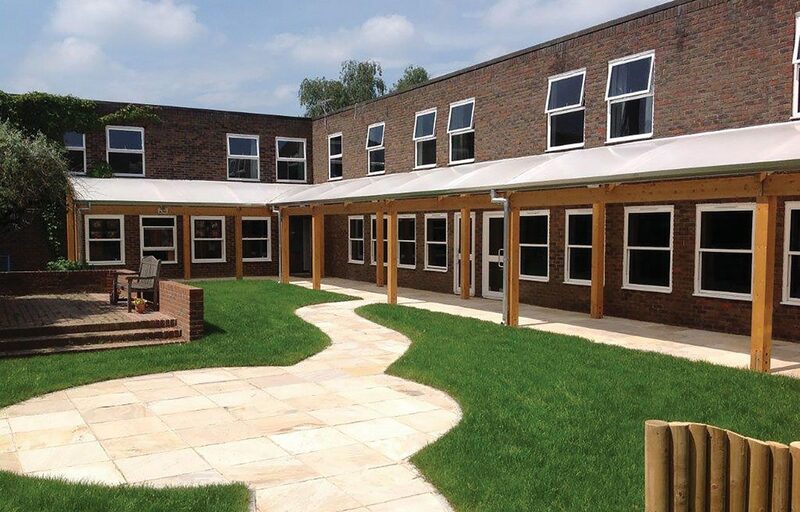 Roof: Fire retardant Opal 60 fabric allows maximum light penetration whilst protecting from UV radiation. This fabric has a guarantee of 10 years.